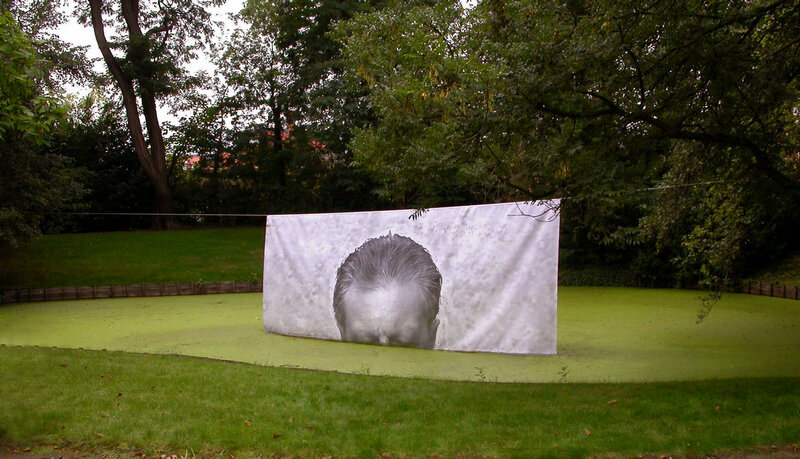 Geist is a print on industrial canvas, on which the head of the artist is partly visible. 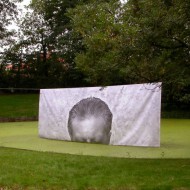 The portrayal is floating above the water surface of a little pond. The portrayal is not so much a portrait, but more the representation of a place: the head as the locus of reflection. At the same time and paradoxically, the artist wants to enfeeble this rational cliché and convince us that the cognitive capacity of man is not solely located in the brain. 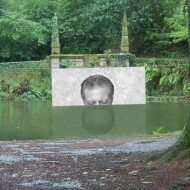 The work of Stefaan van Biesen shows an associative closeness between reflection, acting, the environment and welfare. Formulated as a question: how do our thoughts manifest themselves through acts within our environment and to what extent do they contribute to our welfare? The specific choice of material (canvas) and the location (above water) also gives the literal aspect of Geist a symbolic layer. Wind and water are the physical manifestations of the Eastern concept of Feng Shui. Feng Shui tackles the question of how an environment can influence happiness. Can harmony arise between natural and created forms, and is it possible to adapt the environment in order to stimulate vitality? These are questions which are crucial when talking about town planning and urbanisation, but they are often completely lost given a solely rational-functionalistic approach. 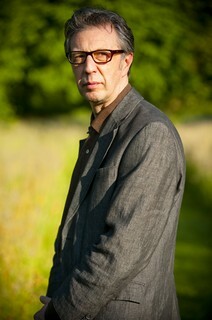 Stefaan van Biesen has been working for some years now on several parallel projects in his own country (Belgium) and in Europe: Germany, France, the Netherlands, Italy, Portugal, the Chinese Modern Art Foundation, China, among others: an in situ photo installation Geist, Traveling spaces (prints of past performances in Europe), Library of Walks – photos as a homage to Caspar David Friedrich.